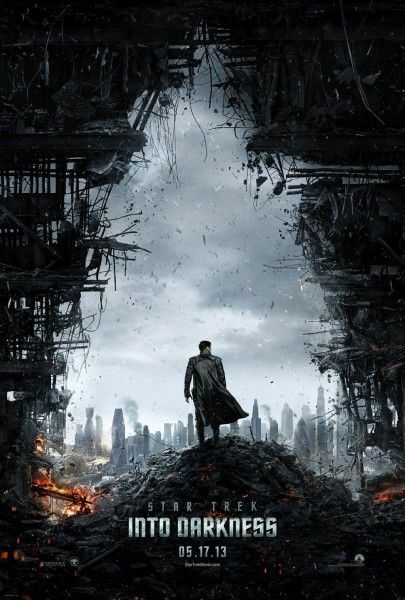 Today, we have yet another sign that the villain (Benedict Cumberbatch) in Star Trek Into Darkness will probably be Khan. While we reported yesterday that the villain’s name was “John Harrison“, it’s doubtful that’s the character’s real name. We also know that the footage that was shown to journalists had various cues like bits from Michael Giacchino‘s score playing off the music from Wrath of Khan, and the Japanese trailer has a very familiar visual at the end. Last night, Steve was at a press event for the movie, and learned that Alice Eve will play Carol Marcus. For those who need a reminder, Carol Marcus was a character in Wrath of Khan. Played by Bibi Besch, the character invented the Genesis Device, and she also had a fling with Kirk. Granted, it’s unlikely that the new alternate timeline would exactly mimic the original timeline, but I’m baffled as to why she’s even there in the first place. Why make all the callbacks to Wrath of Khan? Why live in that inescapable shadow? If you haven’t seen it yet, hit the jump to check out the latest trailer. The film also stars Chris Pine, Zachary Quinto, Karl Urban, Anton Yelchin, Zoe Saldana, John Cho, Simon Pegg, Peter Weller, and Noel Clarke. Star Trek Into Darkness opens in 3D on May 17, 2013.